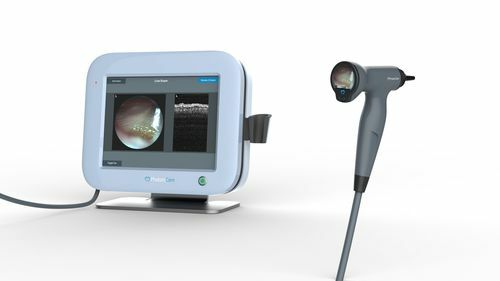 Real-time middle ear morphology plus eardrum surface video. Cross-sectional images of the middle ear are shown on the system’s screen, alongside video of the surface of the eardrum. The physician can evaluate the revealing OCT visual images of the middle ear without giving up the more familiar otoscopic view. Images can be saved for later analysis with the click of a button. 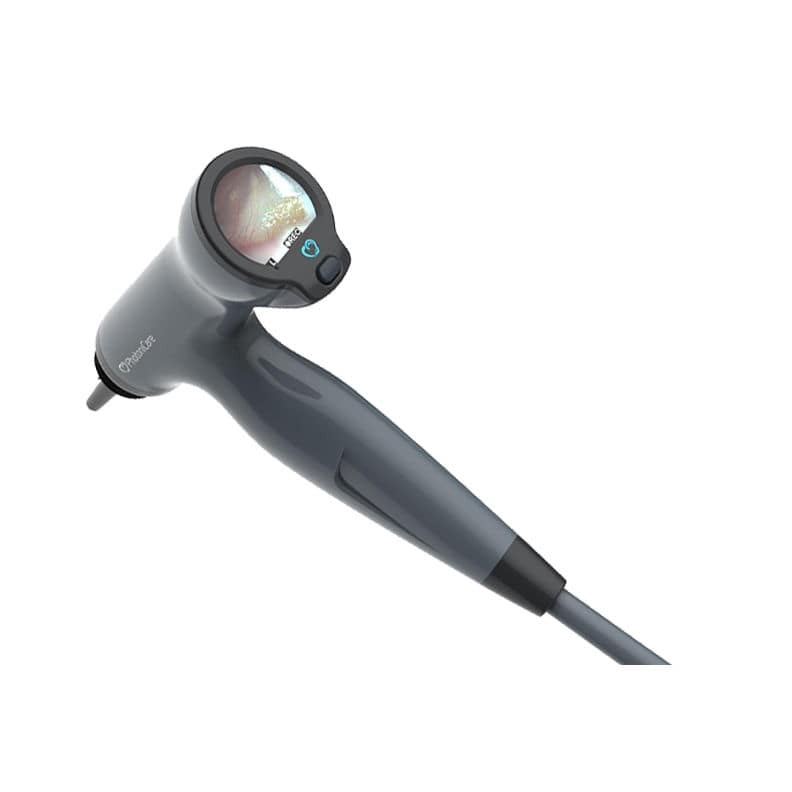 Our easy-to-use device is designed to look and handle like the familiar otoscope. 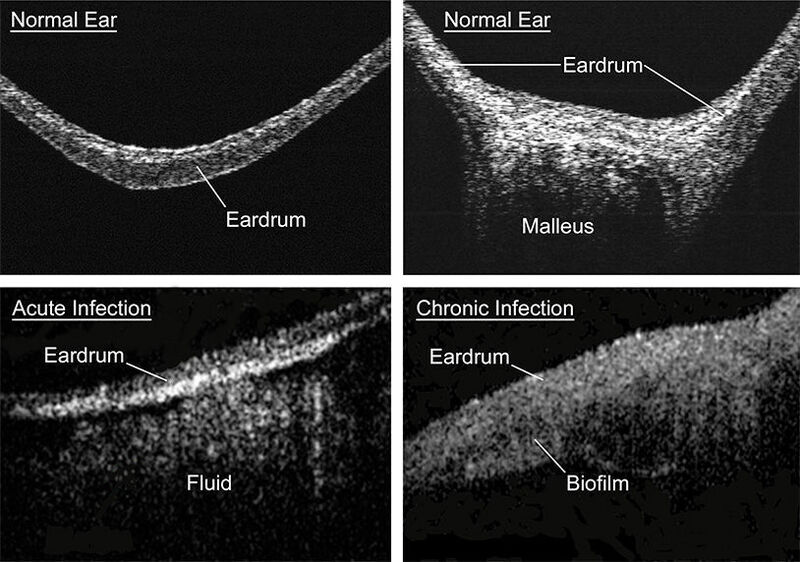 OCT images of the middle ear eliminate subjectivity and guesswork for the first time. A nurse-practitioner, physician’s assistant, or technician could perform the exam. This will free up the ENT specialist’s and make lower-cost, objective early screening possible.